Dollars raised (in donations and pledges): Over $230,000 in 5 days! Gaynor Giving Week is a time when our community comes together to give support to the Annual Fund. The Annual Fund helps sustain the mission of the school: to unlock each child’s potential as a learner. The Annual Fund is the fundraising priority of Gaynor and helps to fund the day-to-day operations of the school. This includes our most important resource: our faculty, specialists, administrators and staff. Over 80% of Gaynor’s operating expenses each year are faculty-related. to attract and retain the best educators for our students and maintain our critical 3:1 ratio. that started September 1, 2018 and ends August 31, 2019. 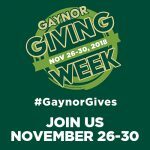 Share #GaynorGives on Social Media! Download these icons and share them on Facebook, Instagram, LinkedIn or the social media channel of your choice! Having trouble downloading? Email [email protected] for assistance. Gifts will be accepted throughout the week, but mark your calendar for these fun activities! 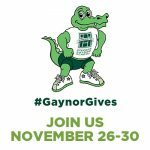 We will be announcing exciting giving incentives so that you are able to maximize giving back to Gaynor. 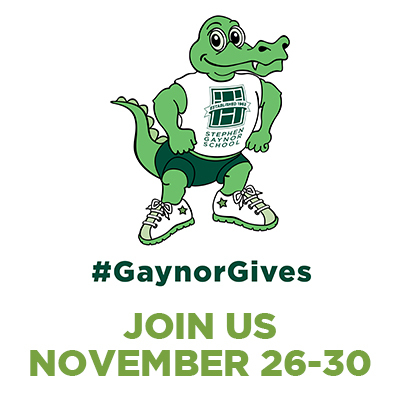 If you have any questions about Giving to Gaynor, Annual Fund Ambassadors will be available at drop off at 8:00 am. For a full 24 hours, alumni will share the reasons why they give back and encourage their peers to do the same. 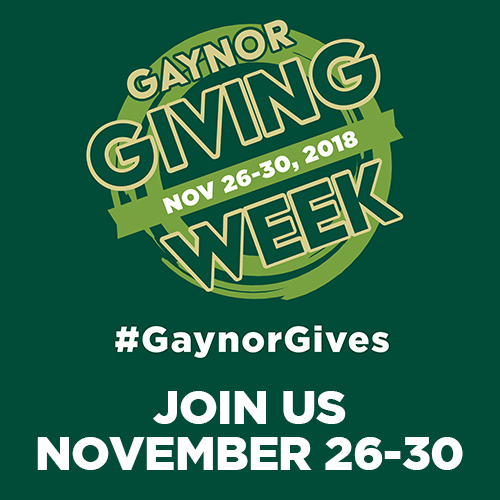 If you are a Gaynor alum and you are interested in getting involved in Giving Week, please email [email protected]. 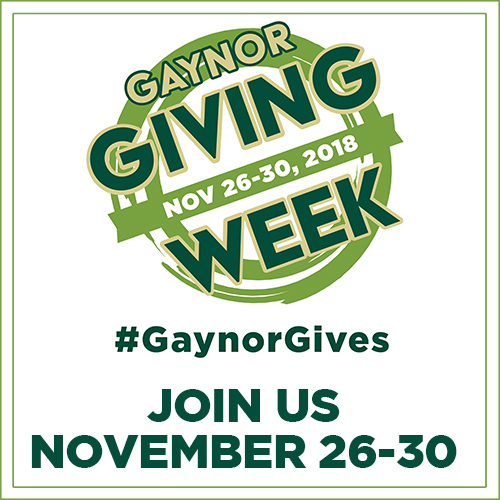 We are hoping to that a minimum of 56 alumni and their families will give back during Giving Week 2018 to celebrate the 56 years of Stephen Gaynor School history. Join our Annual Fund Ambassadors for a Meet-and-Greet in both lobbies during drop-off beginning at 8:00 am. Coffee and donuts will be served. Get to know the names and faces of the parent fundraisers at the school, and don’t forget to pick up your “I Gave” sticker once you make your gift! Don’t forget to make your meaningful gift of any size to the Annual Fund! Share your badge on social media and #GaynorGives to let your community know what motivates you to give. We will announce results of the first-ever Giving Week and thank all of those who made an impact!